Are you imagining slipping into crystal clear, warm turquoise seas? A coastline with beautiful bays and inlets to lose yourself in? Does it include food so fresh and delicious, with exquisite wine, that nothing else will ever taste the same again? And then, the ability to cut your own path, choose where you want to wake? Leave the crowds behind but always have the option to join the party whenever you are ready? Do you appreciate exploring beautiful towns, with winding narrow streets of polished limestone and amazing architecture? How about being surrounded by natures playground; extensive limestone scenery providing a paradise for climbing, caves, and canyons, white water rafting, kayaking and zip wires. Diving opportunities that are some of the best in Europe, and a sea so clear that snorkeling comes in super HD. The Dalmatian coast has all this and more, and the very best way to explore it is on your own personal yacht. 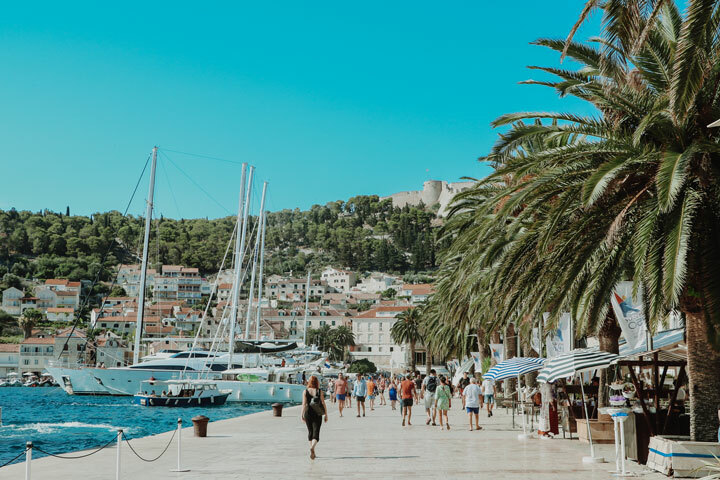 Croatia is increasingly popular, the destination of choice for tourists and film producers who appreciate the beautiful things in life. The knack to getting the most out of a vacation here, without getting bogged down in the crowd is local knowledge, a boat with its own personal beach and a highly trained skipper to show you around. Don’t talk about the benefit of hindsight, appreciate the worth of foresight! 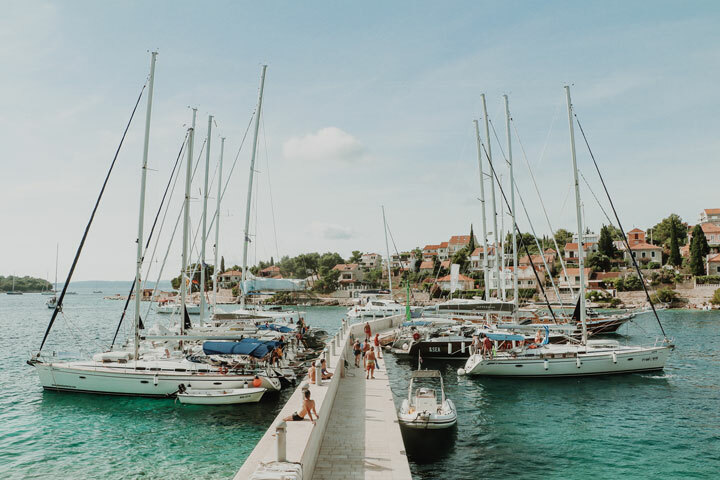 Knowledge is power, and this blog is packed full of relevant articles to help you make the right choices and be fully prepared for a holiday sailing on the Croatian coast. Find out which boat is best for you as we reveal the pros and cons of yacht vs catamaran. Get help considering what optional extras you should choose to tailor the holiday to your specific needs. With so many places to see, where should you go first? We have top packing tips on what to take from people who have been before as well as advice on preparing for that initial supermarket provisioning trip. Read a first-hand account of honeymooning in Croatia and even find out how to look like a pro. 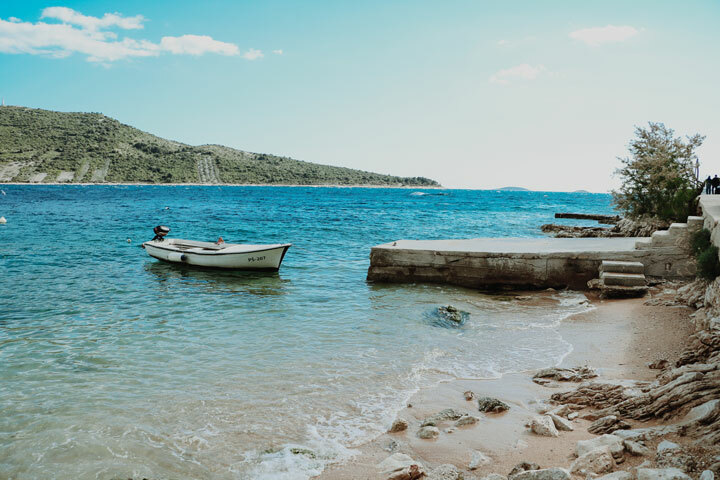 As well as reading this blog, whet your appetite for Croatia by browsing the destination guides. Then look through some suggestions for week-long sailing holidays to see how far you could go.